For some people, the word diet is just like the word “no.” Some think dieting means cutting out many of the foods you love to eat or depriving yourself by eating less. On this episode of The Dr. Gundry Podcast, I chat with weight loss expert Eliza Kingsford about how YOU can take power back from the word “diet.” Once you’ve taken back that power you can lose weight, stay healthy, and keep extra weight off for good. Eliza is a licensed psychotherapist and an expert on body image, weight loss, overweight and obesity, eating disorders and food addiction. She’s spent years working with overweight and obese teens at her Empowered Wellness Camp, helping them to lose weight and keep it off. She also just released a brand new book called Brain-Powered Weight Loss about the psychological connection between what we eat and how we feel. We’ll talk about all these topics and more, including how to develop a “healthy obsession” and how to deal with some of the most common misconceptions about healthy eating. We’ll even discuss the effect screen time is having on us, our kids, and our grandkids (hint: It’s not good!). Dr. Gundry: 00:00 Hey there. Welcome to another exciting episode of The Dr. Gundry Podcast. The weekly podcast where I give you the tools you need to support your gut, boost your health and live your youngest, healthiest life. Dr. Gundry: 00:19 So before we get into this week’s episode, let’s take a look at our review of the week. [Chickwee 00:00:25] writes, “Great podcast. Reading about the Plant Paradox and lectins was an eye opener for me. I’ve implemented changes in how my family chooses and cooks our food. Thank you Dr. Gundry for all your hard work. God bless.” Well thank you for writing Chickwee, and keep up the good work. So if you want me to read your review, make sure to rate and review the Dr. Gundry podcast on iTunes. Dr. Gundry: 00:51 So welcome to the Dr. Gundry podcast. Today, we’re going to talk about yo-yo diets. One of my favorite things to talk about. So according to today’s guest, a staggering 80% of dieters fail to keep their diet, or eventually regain the weight they’ve lost. This is actually really true. So how do you stop that? So we’re going to welcome Eliza Kingsford. 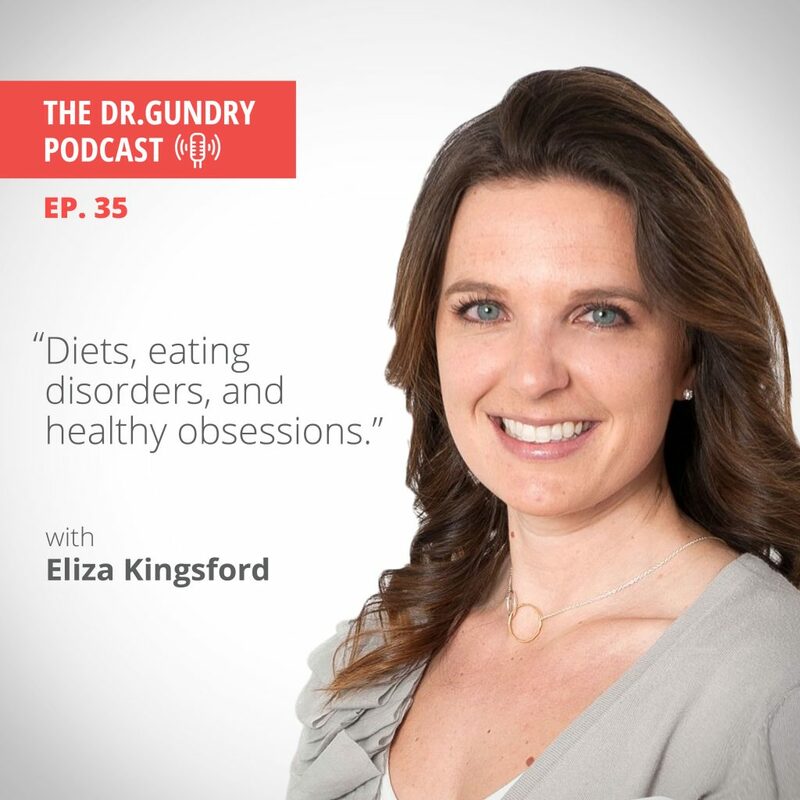 Eliza is a psychotherapist and weight management expert who argues losing weight and maintaining it in the long-term is more about your brain and less about what you put in your stomach, which is going to be very intriguing to have her explain this. Dr. Gundry: 01:36 So, Eliza, welcome to the Dr. Gundry podcast. Eliza Kingsford: 01:39 Hi. Thank you for having me. I am excited to be here. Dr. Gundry: 01:43 So your brand, Brain Powered Weight Loss, which is fascinating and it says 11 step behavior based plan that ends over eating. So let’s start with the word dieting, which I know in your book, you talk about how you don’t like the word and I hate it too. What does it mean to you about dieting and why should we reconsider this as a term? Eliza Kingsford: 02:14 Yeah. I think some might be surprised about why I hate the term, and really, it bothers me mostly because of what’s happened in our culture, in sort of the mainstream culture when you say the word diet you think about in the 80s and 70s, and sometimes early 90s, dieting was all the rage. Everybody was on it. Everybody was on a diet. It was very popular to be on a quote, “diet” at that time. The pendulum has now swung to the exact opposite end and now it’s very uncool to be on a diet. It’s very uncool to even say the word diet, right? If you are dieting, it’s almost become a four letter word. It’s something that’s seen as bad or we associate negative feelings with the term diet. And in reality, diet is just a word like any other. It’s just feeding. And so, what I see, especially in my clients is that as we attach as a culture positive or negative aspects to it, it becomes something other than what it is. It’s the make up of food that you put in your body and now we’ve made it this scary, bad four letter word that we can’t even talk about or we shouldn’t even say because it’s against public opinion right now. Eliza Kingsford: 03:31 Popular public opinion, I should say. And who knows what it’s going to be in 10 years from now, right? So we can’t attach such emotion to a word. It’s just a word. It’s just what food makes up our every day choices. And so that’s why it bothers me so much because I see the impact with the clients on what it’s done emotionally for them. Dr. Gundry: 03:52 Yeah. I see on the Internet all the time, diet contains the word die, and of course many people somehow associate the idea of going on a diet as dying. But, the word is very pervasive. Recently because of the first of the year, there were a lot of articles out on the top 10 diets. And lo and behold, the Dr. Gundry diet which I didn’t know there was one, was one of the diets discussed. And I went, that’s funny. I didn’t know I had a diet. Eliza Kingsford: 04:29 And now you do. Dr. Gundry: 04:33 Yeah. Now I do. And it’s one of the top 10. So whatever that means. Okay. So, how do you get people … So obviously your kind of long range goal in helping people is anybody can lose a few pounds, and that’s why these diets are so popular. But as I personally know, losing a lot of weight and keeping it off is actually very different. Dr. Gundry: 04:59 So, tell us kind of the statistics. What are the statistics about weight loss? Eliza Kingsford: 05:05 Yeah. I mean depending on which statistic you read and believe, it’s up to as much as 95% of people go on a diet and then will eventually regain that weight back again. And as you said, it is considerably easier to shed a few pounds or even a considerable amount of weight. It’s much harder to keep that weight off in the long-term and that’s both for biological and psychological reasons. And if you are not looking at those two things, two sides of that coin together, I find that you are making a big mistake and it makes it much harder to be successful long-term. 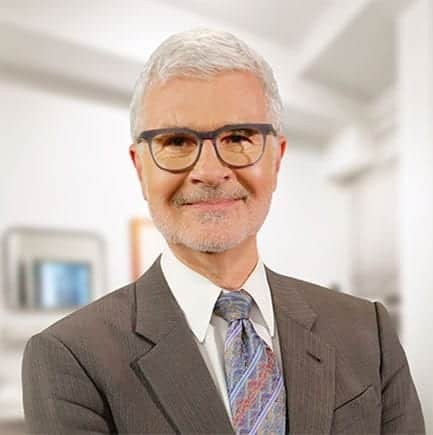 Dr. Gundry: 05:46 So, when you use behavior in changing people’s approach to this, do you have them have a long-term goal or are we talking about action steps like the 11 step behavior plan that you talk about in your book? Eliza Kingsford: 06:09 Yeah. That’s actually a really good question that no one has asked me yet, but a fascinating one. And I think it’s both. It is … and actually rather than a long-term goal, it’s actually changing a person’s identity from someone who wants to get somewhere to someone who is just someone new, right? So instead of my goal is to lose 20 pounds, it becomes I am just a person who does these things. And it may not sound like that big of a deal, but if you are always engaging in this mindset where there’s a finish line involved, or at this point, I can stop, then subconsciously, what you are telling your brain is, “I’m not really this person. I am that person.” And we want to flip that and create a different mindset where someone just becomes a healthy person. They embody the mindset and the behaviors and the goals subsequently that a healthy person would have. They become someone new. Dr. Gundry: 07:17 Yeah. I think that’s a really good point. I blogged several years ago about my wife, Penny, loves bread. Loves it. And it’s one of the greatest evils known to mankind, but it was … she was so fixated on giving up bread. And she said, “I know it’s bad for me. I love it. But I got to give it up.” So we finally turned it into a positive … That I am a person who doesn’t eat bread. Dr. Gundry: 07:52 And it was actually one of the best things that she did because then when the bread comes to table as it always does, you go, no. I don’t eat bread. Dr. Gundry: 08:03 And of course they look at you funny. Dr. Gundry: 08:07 In fact, it happened actually this week at a restaurant. But that’s sort of … Yeah. You’re not denying yourself any, but you are this person who doesn’t eat bread. Eliza Kingsford: 08:19 Because that denial is really powerful. Your wife can probably attest to it is when you keep saying I can’t have, or that I am not allowed to or that I am not eating it right now, you make bread bigger than it is. We make bread really special, don’t we? And I can imagine that your wife would say, but it’s actually not that big a deal for you and maybe she says, “Oh I know that bread would have tasted good.” Or maybe there’s the normal amount of, “Yeah. I did like bread. And I do like bread.” But it is not as emotionally or psychologically impactful when the messages that she’s telling herself on a daily basis is how she’s restricted from it. And that she can’t have it and she’s not allowed. These are really powerful subconscious messages that we tell ourselves, and you made such a perfect point with it, that it becomes, I just don’t eat bread. And therefore, bread becomes much less special and not that big of a deal. Dr. Gundry: 09:16 So, you work with a lot of young people and you’ve got a new camp that is starting up in the summer. Tell me about particularly, as you know we have this incredible crisis in kids and young adults in obesity, and I see them in my clinic as well. And there’s a general sense is, well kids can kind of eat anything because they’re going to burn it off and eventually, they’ll grow out of this stage. But, that old way of thinking clearly isn’t working now. Eliza Kingsford: 09:57 That’s right. That’s right. Dr. Gundry: 09:58 So let’s go back and first of all, tell me about the programs that you now have, that you’re just starting, I guess. And number two, specifically in those programs, how do you help kids get out of this mess we’ve created? Eliza Kingsford: 10:15 Yeah. And it is a mess that we’ve created. And some of the pushback that I get for working with kids is that I am sort of perpetuating this diet culture. But in reality, what I see in the families that we work with, we work with the child and the whole family, is they are in a lot of emotional pain. They are struggling with feeling like they are in bodies that don’t feel right to them, or that feel comfortable and they just don’t know how to get out of it and all of the information that they get is conflicting and what do I do, and the parents feel guilt. And it ends up being this big emotional mess, and so if we just ignore it and keep saying that kids are going to grow out of this, this crisis, this epidemic that you are talking about, is just going to get considerably worse. We have to stop it where it’s starting and it’s starting younger and younger. Eliza Kingsford: 11:08 So Empowered Wellness is the program. This will be our second summer that we’re running, but myself and my staff have been running these types of obesity and weight management programs for a combined 30 years at this point. And what we have found is that during the summer, we can provide an opportunity for youth and young adults to come to a programs where there’s a lot of shared experience, camaraderie. It really has this summer camp feel by doing all the things you would imagine we would do at a summer camp. But we also provide a lot of education and experiential activities. So, there’s a body image group. Stress management group. Social media literacy, and learning how to be a conscious consumer of social media. Understanding how food plays a role in their coping skills and coping mechanisms. They do individual sessions with a behavioral coach to help them understand their specific unique individual barriers to success. Eliza Kingsford: 12:09 All the while they are doing cooking classes and nutrition classes and playing dodge ball. I mean it ends up being a really fun summer camp experience and one of the biggest takeaways that we hear from our parents is that these kids are learning self-esteem, stress management strategies and coping skills that they are not learning anywhere else in their daily lives that are applicable to many areas of their lives, and not just their weight and body image. But weight and body image of course is where my heart lies and I want them to leave feeling empowered to make [inaudible 00:12:45] know how to make the decisions that will end up getting them to where they want to be. Not just telling them what to eat or how to exercise. It’s not as useful as teaching them how to make the best decisions for themselves. So that’s our focus. Dr. Gundry: 13:00 Okay. So we know from the Biggest Loser that exercise clearly does not … intense exercise does not result in long-term weight loss. Unfortunately. Dr. Gundry: 13:19 It’s interesting, not to kind of veer off, but years ago I was involved in this tracking of people who had successful long-term weight loss. And we had to check in every year, and one of the conclusions of that study was that you do not need to exercise to lose weight. Number one. That’s been proven by hibernating bears as I like to remind my patients. If you don’t eat, you will lose weight. But, what was interesting is most people who were successful at long-term weight loss, had an exercise program that they enjoyed. So, kind of take it from there. Let’s talk about intense exercise to lose weight versus an exercise program that you like. What’s your thought on all this? Eliza Kingsford: 14:12 Well, I think you said it right there. The key word in all of it is enjoyment. And the enjoyment piece of it is not, in my opinion, just for sustainability, but any time, in my opinion, that you are fighting yourself and that you are forcing yourself to do something that you really don’t enjoy, something happens psychologically, emotionally, and I believe physically, that impacts your progress. And beyond just the sustainability of it. We talk about it with food, too, that anytime that we are fearing food or fighting food in such a way I believe it actually gets metabolized differently. But as far as exercise is concerned, one of the things that we do so well at Empowered Wellness is expose them to all kinds of different movement. We call it Joy of Movement. I have 11 year old boys who end up loving Zumba. Who knew? Right? Eliza Kingsford: 15:11 And figuring out something that feels really fun and positive, and for some people, that’s throwing on a podcast and taking a walk. But you are right. We teach them, right away that it’s not about this strenuous, vigorous exercise that people feel like they have to fight themselves to engage in. Now me, personally, I actually really enjoy some strenuous exercise. I enjoy it. It brings me joy. So, okay. That’s one type of physical activity. But there’s a whole array of other types of physical activity that if you can find joy in it, if you find it fulfilling, if it released endorphins and positive stress hormones, then now we’re on a different path and it’s not only sustainable, that it brings you joy in your life, it reduces your cortisol levels. The impact of it is less this calorie in, calorie out equation and more from a holistic broader sense of what it brings to your life. Dr. Gundry: 16:14 Good point. So, all right. So you’ve got these kids and you’re teaching them different feelings about body image, and you are trying to get them into something they are going to like to do. One of the other things that you stress in the book is developing healthy obsessions. So, what is that? And how do I get a healthy obsession? Eliza Kingsford: 16:39 Yeah. Well, if I had to guess you probably have one already and tell me if you relate to this. I do get some push back on the healthy obsession as you can imagine, but sadly, once we have gotten our bodies to this state of overweight and obesity, as you know, the biology perpetuates itself, and it fights against going back to a healthier weight. And so you have these underlying mechanisms that are working against you when you are trying to maintain a healthy body weight, right? I’m sure you would argue that there’s certain food that turn on and off these mechanisms and all of these things. But in reality, in today’s society, in our modern food society, and with the pace of life with which we are living, if we aren’t living with a healthy obsession, if we just sort of go with the flow and eat what we’re given and the lack of moving and the lack of time we have in our lives, if we just go with the flow, we set ourselves up for obesity without really even trying. Eliza Kingsford: 17:51 We live in this obesogenic culture. We don’t have enough time to move. We don’t have enough access to healthy foods unless we go out and seek it. So, the definition of this healthy obsession is just sustained preoccupation with planning and execution of healthy behaviors used to reach a healthy goal. And all that really means is if you are someone who wants to be healthy, you need to actively and daily and consistently seek out the choices in both food and movement. Food, more important as we just talked about, that are going to bring you closer to your goals instead of further away. I liken it to someone who is training for an athletic competition, right? If you think of … Well, we’ll take Tom Brady for example. I don’t know how you feel about the Patriots, but here we are, post-Super Bowl. Eliza Kingsford: 18:43 Tom Brady doesn’t wake up one day and say, “I don’t really feel like throwing the football around today.” That doesn’t get him to winning multiple Super Bowls. He has created a healthy obsession. In order to reach his goal, he has planning and execution of his target behaviors every day to get there. And people who maintain a healthy lifestyle and healthy body in our current food environment, and it’s my belief, they have a healthy obsession. They get up thinking about what am I going to do today, choose to eat today, and how am I going to choose to move in order to maintain my healthy form versus, well, I’ll just see what happens, right? Dr. Gundry: 19:27 So, okay. So, the naysayers watching this, you’re in Boulder, Colorado, one of the healthiest places to live in America. I live in Southern California, also, depending on the smog level, one of the healthiest places to live. But, what do you tell the person in Des Moines, Iowa, and it’s 20 degrees below zero and you may or may not live in a food desert. Okay, how do we deal with this? Come on you people from Boulder and Santa Barbara. Be realistic. How do I accomplish this where things aren’t perfect? I can’t find the perfect food and maybe my thought of a perfect food is a pizza with only one topping of pepperoni, rather than the extra three toppings of pepperoni. Eliza Kingsford: 20:28 Yes. Well you bring up a couple layers of good question there. I mean, my definition of a healthy obsession is what is healthy for me? Right? So the person Des Moines, Iowa needs to examine and be aware of and be really honest with what is a healthy definition for them? So a nurse who works the night shift and sleeps during the day or something like that is going to say to me, “Well, when am I going to exercise?” And I am going to say to her, “Well, what is applicable to your current environment? What are the things that you are willing to change in your current environment in order to get you to where you want to be, right?” And healthy obsession is not about perfection, it is about a consistent and committed focus to the behaviors that are going to get you to where you want to be. So for that nurse, in particular, and you made this example about the pizza, I am going to make the tough argument that a pizza with just pepperonis instead of a pizza with the seven toppings that they put on before is still a pizza. A pizza is still not going to get you to where you want to be. No judgment on my end. Eliza Kingsford: 21:40 But is it going to get you to your goal? Yes or no? Then you make the decision that you’re willing to make within those guidelines, right? So for this person who is saying, well I took all the toppings off of my pizza isn’t that better? I am going to say, “Well sure it’s better. But it’s not my goal that I am trying to get to. It’s your goal that you are trying to get to. That pizza’s not going to get you there. Those are just facts.” We don’t have to attach any emotion or morality to that, right? That’s just the fact. Dr. Gundry: 22:11 Right. So what do we do with particularly the kid, the young adult, who’s got a trigger and maybe it’s shaming at school. Maybe it’s on social media and that trigger hits them and they head for their comfort food, whatever that might be. Back in the good old days, I could go through a pound of peanut M&M’s without thinking. I haven’t done that in awhile, by the way. In fact, I think it’s 20 years. So how do you help mentally with those triggers? Eliza Kingsford: 23:00 Well, it is and it’s sort of the path to … it’s less about not eating the M&Ms. Ultimately, that’s the case, right? But it’s more about, how do we get to be the person who doesn’t choose the M&Ms? And backing up from that and looking at the steps to getting there. So first it’s awareness, right? You somewhere along the way said, “Huh, I keep eating these peanut M&M’S.” Maybe you said why. Maybe you said when. Maybe you took a look at if and when you used M&M’S as a coping mechanism. And these are some of the things that the book walks you through. You have to first become aware. We have to understand our triggers. We have to be honest about our triggers. We have to be honest about the people surrounding those trigger. And we need to replace the coping mechanism that’s not serving us, read, the peanut M&M’S, that ends up ultimately making you feel guilt and shame after eating them, and not really helping the situation that triggered you to begin with. Eliza Kingsford: 24:02 So we make all these connections, and then we replace the M&M’S with a different and more adaptive coping skill that will end up working for them in the long-term. We try and take out the middleman, which would be the M&M’S. Dr. Gundry: 24:17 So, what would you replace the coping skill? Let’s stay with the M&M’S. What’s the coping skill to replace the M&M’S that you would teach? Eliza Kingsford: 24:27 Well, it’s a good question. It depends on what the trigger was, right? So the coping skill needs to be … is usually in a response to the triggers. So in a kid sense, it might be bullying at school. So they had somebody … they were bullied at school. Well, we break down and help them come to the conclusion on their own. Does the peanut M&M’S help the bullying? Then ultimately through that process, the answer is, well no. Now I feel worse because of all the reasons that come with the guilt and shame after eating all the peanut M&M’S. And then we brainstorm things that might actually help the bullying, right? Is it talking to the friend that you do have that’s close? Is it c connecting with a family member? Is it doing something that makes you feel empowered? Is it writing? Is it journaling? There’s … you connect individually with each child and there will be some motivating factor that actually does make them feel good or fills them up versus leaving them feeling guilt and shame like the peanut M&Ms and then you end up teaching them how to replace that coping skill. Eliza Kingsford: 25:40 How do I recognize my trigger? How do I replace it with a coping skill that actually does work for me? And how do I repeat that process over and over and over again? Dr. Gundry: 25:51 So, I’m curious about your background. How did you get started working in counseling in the weight loss space? There’s usually a trigger. Eliza Kingsford: 25:59 There’s usually a trigger. You would be right about that. Yes. Well, when I was going through my graduate studies in counseling, I always gravitated towards eating disorders and disordered eating behavior. And certainly, I struggled with my own body image and disordered eating behavior. I couldn’t quite figure out what I was supposed to eat. This is when all the diet craze was around and when I was in high school and junior high and just developing a sense of body image, I couldn’t figure out what I was supposed to eat. And I became fascinated with that emotional connection with our body and our mind and our nutrition and how those interplayed off of each other. Eliza Kingsford: 26:47 And so after my graduate studies, I ended up working a lot in eating disorders, but what I really gravitated towards for people who are struggling with excess weight, obesity and overweight, and that’s when I started working with kids who were struggling with obesity. And I fell in love with this connection between the brain, the conscious and the unconscious, and the food that we … and our nutrition and how it plays into our body image. The way we show up in the world, the way we relate to people. How we interact with our lives has a lot to do with how we relate to our internal self. So this is really applicable to every part of our lives, and that was fascinating to me. Dr. Gundry: 27:29 So, most of your work is in the overweight and the obese primarily kids? Or do you see all range of life? Eliza Kingsford: 27:42 I actually see all range of life, believe it or not. I do some private work with adults. Our camps do young adults, and teens. But I have worked with all ages. Every age. You can imagine, I have worked with them. Dr. Gundry: 27:58 Okay. So, speaking of eating disorders, there’s always the fear that when we start talking about making food choices or when we start talking about weight, that somehow that’s automatically going to trip some switch in a 12 year old girl that’s going to turn her into an anorexic or a bulimic, or both. What say you? Eliza Kingsford: 28:25 What say I. Yes. Throw me like a lamb to the slaughter. What I would say is, I think there’s a big misconception that as we start talking about food and bodies and body image that it automatically triggers an eating disorder. In my experience, both working with quite literally over 10,000 youth at this point, in my experience, there is a percentage and is a very small percentage of people that I have seen come through our programs who have felt like they’ve struggled with an eating disorder, and every single one of those kiddos came in with it and did not come in and then acquire it while they were with us. Eliza Kingsford: 29:14 And the point I am trying to make there is that there is a very specific ideology or origin of an eating disorder. To be categorized as an eating disorder, anorexia nervosa or bulimia nervosa, is a very different [ideology 00:29:30] than what I see with the kids struggling with obesity and overweight. There are also some sort of genetic and biological triggers for eating disorders. So, while there is some relationship and small percentage, I would say that it’s the vast majority of kids that are struggling with something more like disordered eating, right? That they have this struggle with a body image in relation to their food decisions. That is a much higher percentage. But the truth is, this fear of not discussing food and not discussing healthy behaviors is not helping either, right? So there is a way to talk about it that certainly is not going to suddenly trigger an eating disorder in a child. But not talking about it either is not that helpful I find. Dr. Gundry: 30:21 Okay. So what do you advise … what sort of advice do you give to parents and kids about making choices in the kitchen, for instance? Do you spend a lot of time on that or not so much in food preparation or okay, here’s our choices. Here’s what might work for you? Eliza Kingsford: 30:45 Yeah. We do. We spend a lot of time in it as you can imagine, and as you also can imagine, it has changed through the years as the science and the research has changed and what we know now about a healthier diet. There’s that word again. Really, when I am working with families, the most important thing that I stress is that health is a family affair. One of the biggest mistakes people make is, oh, I have one son who can’t keep weight on him, and one son who can’t take weight off of him and so we have special food for this kiddo and special food for this kiddo. That’s not going to work for anybody. So health is a family affair. You either need to decide to be healthy as a family, or you need to decide to let food be free reign. Now I prefer everybody be healthy as a family, but it doesn’t help the kiddo who is struggling with weight and body image issues to become what’s called the identified patient, right? Eliza Kingsford: 31:43 There’s something wrong with this kid over here, so we lock this cabinet and they can’t have access to that food. Never helpful. If you are asking about what we prescribe specifically nutritionally, what we have found works best for this population and I’d be curious to know if you disagree, but this is pushed towards nutrient dense whole foods, overall, is what we adhere to and it becomes really important to us. We think it’s very important what the kids eat, not just how much the kids eat. In fact, more important what than how much. So, we explain what a, to us a nutrient dense whole-food is. Food in its purest form. It’s close to mother nature as humanly possible and if they are willing to stay away from and there’s no need to touch processed foods and foods with added sugar. And we talk a lot about what happens, the brain and your ability to make healthy decisions for yourself when you are consistently eating a lot of processed foods. Eliza Kingsford: 32:46 As you can imagine with teens, this is a difficult conversation. These are the ones who are very susceptible to processed food. That’s a whole nother conversation. Dr. Gundry: 32:59 Yeah. It’s wonderfully addictive stuff. So, speaking of teens, what’s your feeling about the impact of screen time on all of this epidemic? And any thoughts on how you help parents or even the kids develop habits with screen time? Eliza Kingsford: 33:21 I get this all the time at camp, and have seen the progression of it over the last 10 years, and how that’s actually changed our youth. One of the first things I tell parents as much as I can is you are still the parent. And so to the extent that you are having struggle or finding trouble with screen time, remember that just because everybody’s friend has the phone and the iPad and the TV and computer in the room, doesn’t mean that you have to follow those same quote, “requirements.” I often tell parents to sort of take back the household in the sense that if your child is struggling with screen time, there should probably be some structured time around it. I always tell parents, no screens in the bedroom, especially at bed time, right? When it’s so important especially for our teenagers to be sleeping. Eliza Kingsford: 34:26 And what I hear is, “Yeah, but how will they wake up in the morning? They need their alarm. And what about the music to go to sleep?” And I chuckle, and I smile and I say, “Man, I had an alarm clock and it worked just fine.” And we buy them for all of our campers at camp and we say, “Here’s your alarm clock. I’ll teach you how to use it. Here’s the snooze button. Here’s how you wake up, right?” So we forget that we don’t have to go with conventional wisdom. You don’t have to go with the flow. I believe that screen time is just becoming another unhealthy coping mechanism for our teens. Another way to numb our. Another way to find reprieve from whatever they are struggling with. And of course, when we were kids, we didn’t have things like that. So we were either outside, or we sort of had to learn to cope with whatever anxiety or stress was coming up for us naturally as a teenager, and our kids aren’t doing that as much anymore. They are reverting to their screens in order to numb out those feelings. Eliza Kingsford: 35:30 I don’t want to be a … I don’t want to sound the alarm or anything, but I think we have yet to see the long-term impact of how much screen time is impacting our brains. Dr. Gundry: 35:43 So, speaking of screen time, are there any apps that you like for healthy eating behavior or God forbid tracking calories? Not a day goes by that one of my patients says, “This is the greatest app. I can look at my macronutrients and micronutrients and calories”, and what do you think? Eliza Kingsford: 36:08 This is a tough one and I actually, if I am honest, I feel like my thoughts on it has changed through the years. I believe, especially with teenagers, tracking is important just because I think that it is so quickly and unconsciously easy to overeat without even really trying. Now, I also don’t believe that any one of us have a calorimeter inside of our bodies and know exactly how much we’re supposed to consume on a daily basis. So that’s not the point. It’s not for restriction purposes whatsoever. It’s for information. It’s awareness, right? You can’t manage what you don’t monitor type of thing. But we use tracking in a very different way. It ends up being, was I hungry before I started eating? And am I full now? And did this amount of food get me to fullness or was it really this amount of food that got me to fullness? To help them really understand their innate hunger and fullness cues which I think is really important, and certainly with a lot of processed food, those hunger and fullness cues are almost entirely turned off, right? Dr. Gundry: 38:07 Yeah. So, speaking of addictive foods, you come down pretty hard on food companies in the book. Have you gotten any push back from them? I know another woman, Food Babe, certainly I think relishes the push back from these companies. What do you hear? Eliza Kingsford: 38:33 I myself have not gotten personal push back from the food companies yet, thankfully. But I think my biggest issue is that I work with children and children are very susceptible to things like processed foods and added sugar. They are susceptible to the marketing. They are susceptible to the addictive properties in the food, and what we know is that once you go down this trajectory, it’s very difficult to backtrack and these overweight and obese kids becomes overweight and obese adults. So we’re setting them up for failure and I know the food companies argue that we make our own decisions. That it’s free will. And if you don’t like this fake food then just don’t eat it. Well, my argument is and continues to be, if there are food scientists whose entire job is to understand the part of the brain that lights up when you crunch this chip in a certain way, how could we then not deduce that that would have a negative impact on someone’s ability to make a good decision about that food? It doesn’t make sense to me … So I am constantly teaching these kids about what’s happening there, unconsciously on their part, and how to fight against it. I find that once they’re off the processed food which they get when they come to us, that it is easier for them to make good decisions about that going forward. Dr. Gundry: 40:09 Yeah. There was an amazing study published probably now 10 years ago about the Appleton School District study. I’m not sure if you know about it. Appleton, Wisconsin started a program where the kids would eat their breakfast and lunches in school and they would be all organic foods. And then they taught the parents what would be appropriate to serve at dinner but they didn’t have any control over that. And they did this actually for a year. And what happened was that behavior issues virtually disappeared from school. Eliza Kingsford: 40:51 At school. Mm-hmm (affirmative). Dr. Gundry: 40:51 The testing scores went up and the trips to the principle’s office dramatically went down. And the truancy rate went way down. What’s really sad about the whole study which they then wanted to institutionalize it. So they brought in a major food service company to run this, and I won’t mention names, but the minute the major food service company came in and started running it, went right back down to normal because they were basically sneaking in the processed cheap foods again. So … But for anybody … Look at the Appleton School study. It’s fascinating. Eliza Kingsford: 41:39 I will. Yes. Dr. Gundry: 41:41 So, one last thing and I want to get back into the 11 step behavior, and you talk about the smart plan. Give me one smart thing for our viewers to take away from all this. Eliza Kingsford: 42:00 Sure. So, oftentimes when people are becoming someone who is, what we call a long-term weight controller or a healthy person, they stumble in making very nebulous goals. I want to feel better. I want to look better. I am going to do this better. And it doesn’t serve them. It doesn’t serve the brain, right? And so at our program and in the book, I teach you how to make smart goals and people have probably heard that acronym before. If not it’s specific, measurable, attainable, realistic and timely. And there’s a really good reason for making a smart goal. It teaches your brain not only the steps that it takes to achieve a goal but the more times you achieve a goal, the better you get at achieving goals, right? And so, what you want to do in a smart goal is make sure that it is specific, measurable, attainable, realistic, and timely. These are the parameters of the goal. So, as by way of example, one of your readers might say, “I am going to include two cups of leafy green vegetables in my dinner four times a week.” Very specific. You can measure whether you did it or not. It’s attainable. You’re not saying three pounds. It’s realistic. Eliza Kingsford: 43:26 If you hate vegetables, now just adding it in is realistic. You didn’t make it seven times a week. You made it four times a week. You made it just your dinner. And timely. You know when that goal starts and ends. And so, we teach … I teach my readers, and we teach our kids at the program how to consistently set and achieve smart goals and how to adjust them to make sure that they are a [inaudible 00:43:51]. They are not something you already do every day, but also something that’s attainable on a consistent basis. Dr. Gundry: 43:58 Okay. Yeah. That’s great. I used to actually blog for Jillian Michaels many years ago, and there was … people would always ask me about setting goals, and I really think that the idea of setting a goal is really dumb, because what happens when you get there? Now, what do you do? Okay, my goal is to lose 20 pounds. Okay. Now that I’ve lost it or get in that dress for prom or to get to my 10th high school reunion in this dress, or this suit, the minute you attain that, it’s like Tom Brady. Okay. He’s won 12 billion Super Bowls and you can guarantee that Tom Brady, after he went to Disneyland, got right back on his program because his program was really not about winning the Super Bowl. It was being the best Tom Brady can be and I doubt 10, 20 years from now, he will change at all. Because it won’t be about winning Super Bowls anymore. Eliza Kingsford: 45:10 Yeah. So you make the point between an end goal and a process goal, right? So a weight goal when people are … and I don’t have people set weight goals either. I think they are ridiculous. You don’t have a lot of control over your weight goal. But setting a process goal and it teaches you how to become the person you want to ultimately be and here is the process to get there, rather than setting an end goal like you said where there’s an end in mind, and then what? So it’s a process goal rather than an end goal. That’s a good distinction. Dr. Gundry: 45:42 Great. All right. Well, listen, it’s been great having you on and as I mentioned when we start, we always have an audience question at the end. So, let’s take it and please feel free to chime in here. So Savannah asks, “I have a friend who wants to start the 30 day program.” That’s the Plant Paradox 30, which by the way, you can start at anytime. So she wants to start the 30 day program, but she’s allergic to nuts. Any ideas for on the run snacks she can eat during the first week of phase one? Well, so there’s all sorts of great snacks that you can carry with you. I actually like to cut up broccoli and cauliflower and carry them around in a little baggy when I am desperate. When I am traveling on the road, I’ll often carry nuts. I think nuts are probably the best thing you can do. But, there’s no reason you can’t take certain bars. You can check out the bar approval list. We won’t mention any names today. But take bars with you. And you’ll be fine for that. Dr. Gundry: 46:48 And there are a lot of bars that do not have nuts. Any thoughts for snacks without nuts? Eliza Kingsford: 46:56 Those were the things I was going to say. Cut up vegetables, and if there are any approved bars, although I prefer to eat real foods first, it sounds like you do as well, a bar is always a good grab and go. It sounds like you have a list of approved bars that they can choose from. Dr. Gundry: 47:11 Okay. Very good. Well, Eliza, it’s been a great time having you on the show. Where can listeners find out more about you and your work and your book? Eliza Kingsford: 47:22 Absolutely. Thank you. Yes. elizakingsford.com is the website. Empowered Wellness.com is the summer program for teens, and you can find all the information about where we are and what programs we have coming up on either one of those sites. Hope to see you there. Dr. Gundry: 47:37 And it’s in Santa Barbara. So she’s right down the street from me. Over, next to UCSB, my wife’s alma mater. So, I can tell you Santa Barbara in the summer can’t be beat. Eliza Kingsford: 47:51 Good place, right? Dr. Gundry: 47:52 All right. All right. Thanks again for being on. Eliza Kingsford: 47:55 Thank you. Dr. Gundry: 47:55 And good luck with the program and teach the kids, huh? Eliza Kingsford: 47:58 Thank you very much. Thanks for having me. Dr. Gundry: 47:59 All right. This has been watching The Dr. Gundry Podcast and tune in again next time because I am Dr. Gundry and I am always looking out for you. Dr. Gundry: 48:11 Exciting news my friends. My new book, The Longevity Paradox is out now. Like the Plant Paradox, this will be a game changer in helping you live a long, vital life. So pick up your copy now at your local book store, Barnes and Noble, or Amazon, or my audiobook which I actually recorded this time. And make sure you tell your friends and family about it. Dr. Gundry: 48:35 So for more information about this week’s episode, please take a look at my show notes below and on drgundry.com. In the show notes, you’ll also find a survey and I’d love to find out more about you. Please take a few minutes to fill it out so I can do my best to provide information you are looking for. Dr. Gundry: 48:54 Thanks for listening to this week’s episode of The Dr. Gundry Podcast. Check back next week for another exciting episode. And make sure to subscribe, rate, and review to stay up to date with the latest episodes. Head to drgundry.com for show notes, and more information. Until next time, I’m Dr. Gundry and I am always looking out for you.